TimLybarger.com: Country Cooking, Cheap Wine, & an eBay Jackpot. Let's consider the signs of a great day. Looking back over the past 12-14 hours, I certainly can't complain. I sit here with a full stomach compliments of a nearby restaurant that my family definitely does not visit enough. It's a place just up the road that specializes in country home cooking -- and I'm talking real country cooking. This isn't Cracker Barrel -- Cracker Barrel is about as much authentic country cooking as the Olive Garden is authentic Italian. 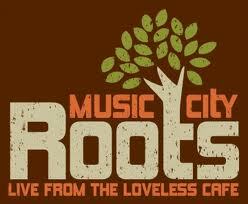 With a stomach full of chicken and homemade noodles with real mashed potatoes and a quick stop at the store on the corner for a cheap bottle of wine, I sit here this evening enjoying the sounds of some wonderful music on this week's Music City Roots live stream. Incidentally, with Father's Day upon us, one of the bands featured tonight was Daddy -- one of my absolute favorites. I'd make a recommendation to check out this song or that by Daddy but that could take all night to whittle the list down to just a few. I recommend listening to anything and everything Tommy and Will have ever put out. But a hefty dinner with my family, a bottle of crappy merlot, and some good tunes are not what make this a great day. What turned it from good to great is the package that arrived in the mail today. 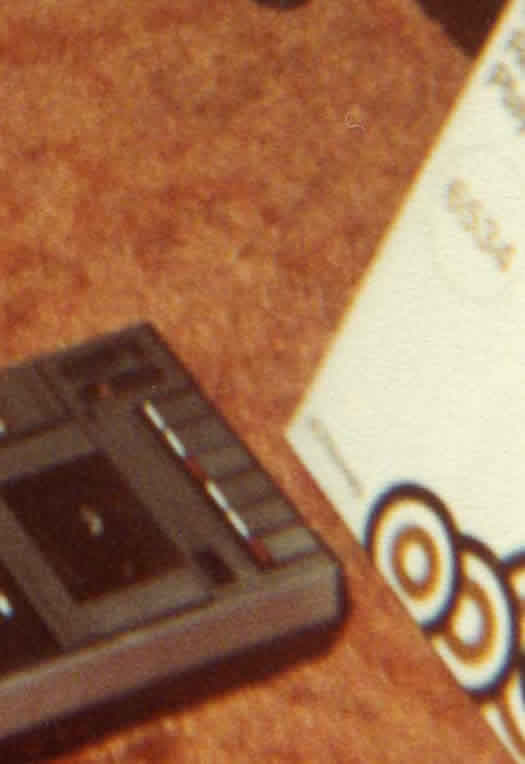 I may have mentioned on this blog before that one of the greatest forms of entertainment for my brother and I while we were growing up was using a tape recorder to capture everything from us playing in one of our bedrooms to hours upon hours of television commercials. While we both eventually had our own tape recorders, my brother's was the primary one that we used to record the dozens of cassettes full of nonsense that still fill a large box today. Both tape recorders are long gone -- victims of time and overuse, tossed into the garbage years ago. My mission over the past few years has been to find a duplicate -- another recorder of the exact model we used to use back in the early 80s. Unfortunately, I had no idea where to start looking as there was no documentation anywhere of the tape recorder's model number or even its brand. 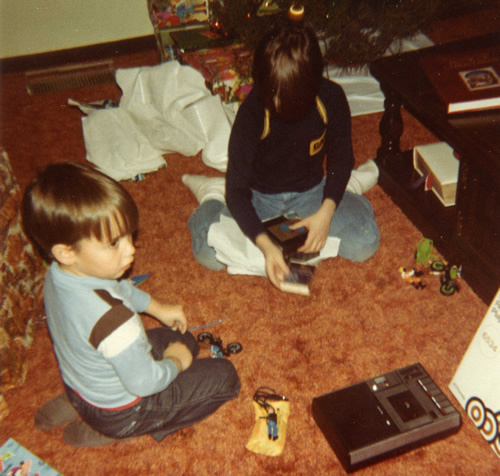 The only thing I had to go on was my memory and one photograph from either 1981 or 1982 that showed the tape recorder itself (that's me on the left, fresh off opening up a new set of Fisher Price Adventure People). 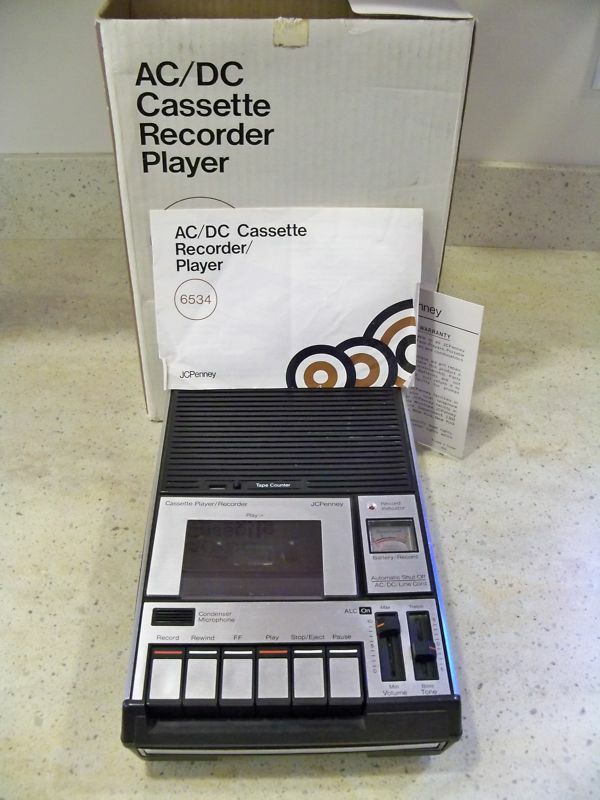 I browsed eBay here and there when I had some extra time to see if I could come up with anything that looked remotely like our tape recorder. Then one day, looking at this picture a little more closely, I saw something. How had I missed this before?!!? This picture was taken at Christmas time and right there in the bottom right corner of the shot is the tape recorder's original box! There's the model number -- 6534. And there in the corner, although the scan is a bit blurry, is the brand -- JcPenney. Now it was time to sit back and wait for someone to clean out their garage and get rid of one of these babies. Almost two years I waited with this make and model saved as a regular search on eBay. Then last week, there it was. Not just the tape recorder but its original box and manual, too! After watching patiently for seven more days, the auction ended and I won for an amount just slightly more than what I would spend for a meal at McDonalds. Much to my delight...it works perfectly. Good things come to those who wait? One man's junk is another man's treasure? Yes and yes. With that, I can check one more thing off my list of holy grail items I'm constantly searching for. I'm not positive...but I'm pretty sure the planets were aligned a little more closely last night now that I have this tape recorder in hand.